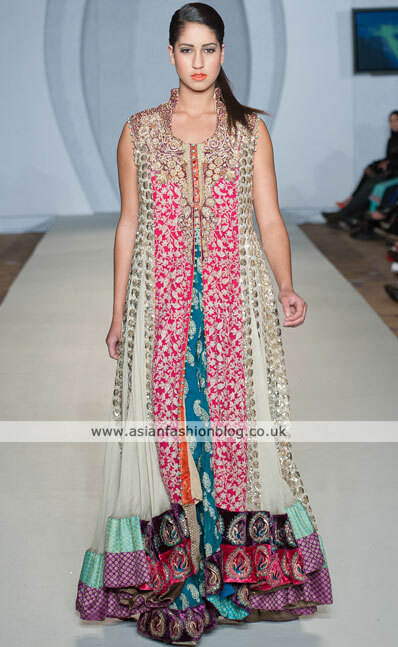 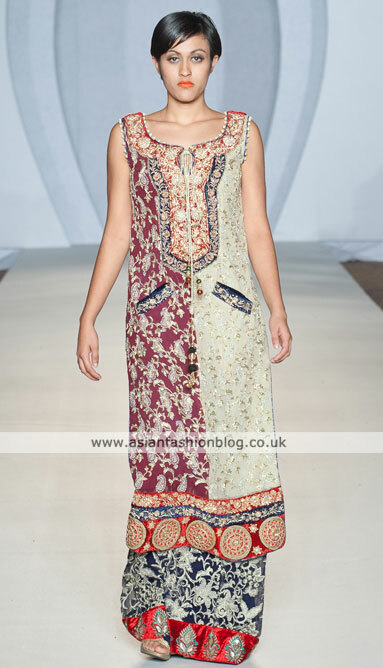 Another designer collection which caught my eye from this month's Pakistan Fashion Week in London was by Zeeshan Bariwala. 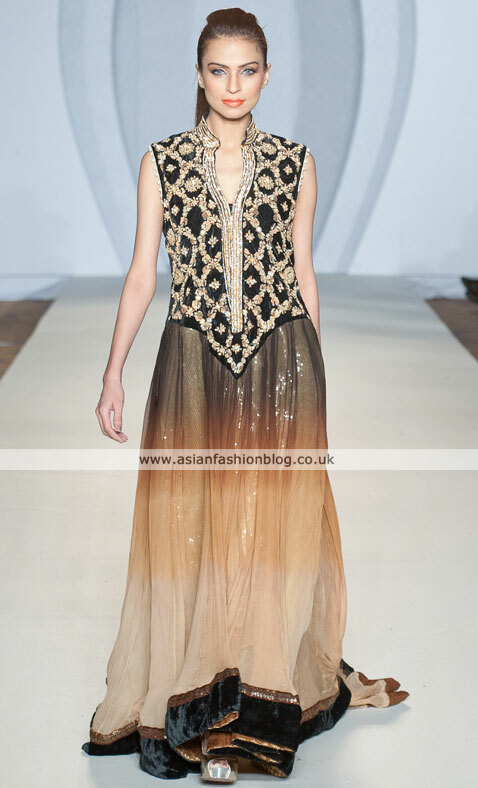 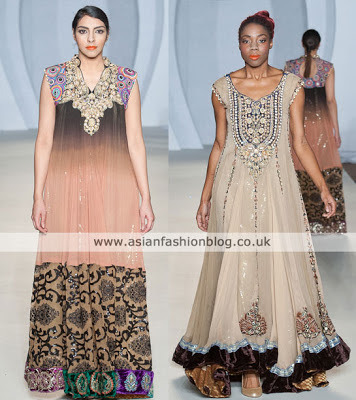 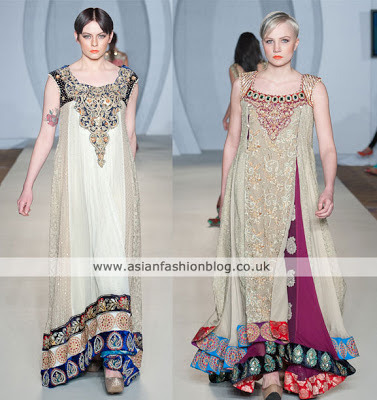 If you've been following Pakistani fashion trends you will no doubt have seen lots of floor length evening gowns, there were plenty on show at this event too, but something about the Zeeshan Bariwala collection stood out to me. 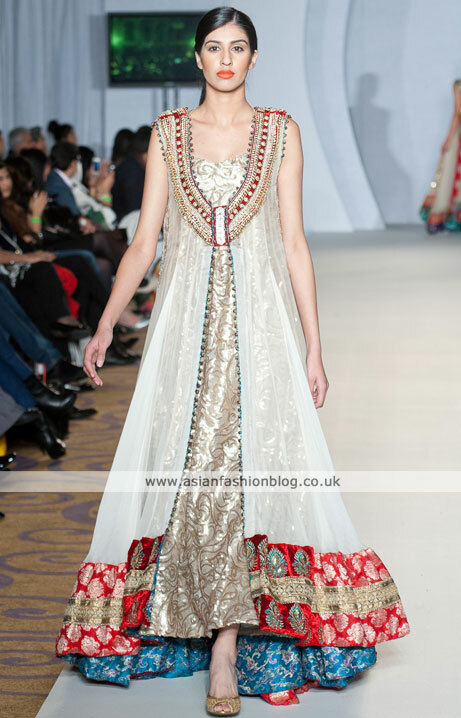 This is one of my favourites from the collection, I like the way it's open at the front and the subtle colours main with hints of red and blue. I liked most of the outfits from the collection, but this next outfit didn't quite have the same elegance as the rest. I don't like it at all! Zeeshan Bariwala has the 'Wow' factor and I can say this because I have worn his gorgeous pieces and have had amazing feedback!! 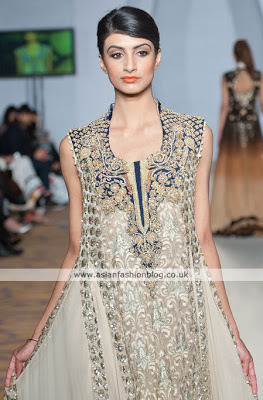 He is an amazing designer who not just makes beauttiful clothes but also has a pleasent nature! 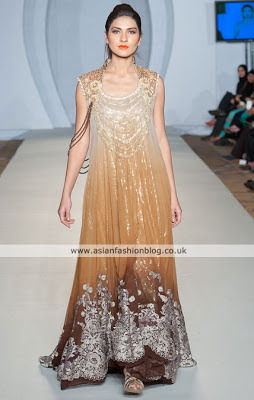 I would recommend his Couture chyc gowns to EVERYONE!